Bryce Harper made history Wednesday in the Nationals' game against the Marlins when he hit two home runs, surpassing Mickey Mantle's record (13) for home runs by a teenager, read HERE. He is two away from tying Ken Griffey, Jr. for third most all-time. While these achievements are noteworthy themselves, he also helped Washington snap a five-game losing streak. Had he left the game as is, we may have viewed him as the poised superstar and wunderkind that he's been advertised as. Instead, when he grounded into a double play in the bottom of the ninth inning in Florida, he angrily threw his helmet on the ground, which almost struck umpire C.B. Bucknor, and was immediately ejected. 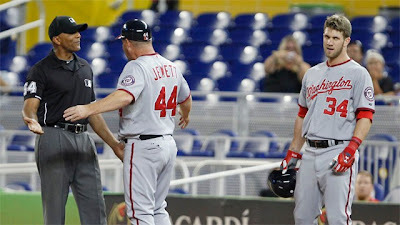 Harper then had the nerve to walk back to Bucknor, get in his face and question him. A Nationals assistant coach was forced to come between them until manager Davey Johnson took to the field and defused the situation. 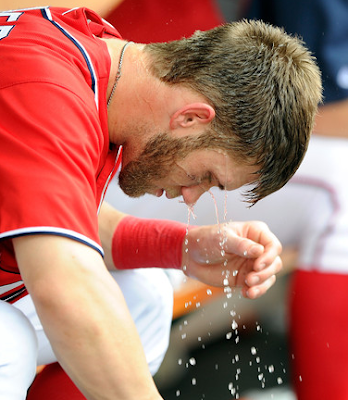 "Bryce couldn't control his emotions again. I had a little chat with him. He'll get over it. He's just a hundred-percenter. He expects great things out of himself. He breaks bats, throws his helmet, and he's just got to stop it. Can't afford to be losing him in a ballgame with that. He'll learn. He's young. He'll learn." "I just need to stop getting pissed off and just live with it. I just need to grow up in that mentality a little bit. Try not to bash stuff in and things that I've always done my whole life. Those need to change." In a 2003 Sports Illustrated survey of 550 active major league players, Bucknor was voted as the worst umpire in MLB, with 20.7% of the vote. In an updated 2006 SI survey, Bucknor was again voted MLB's worst umpire, with 21% of the players' votes. 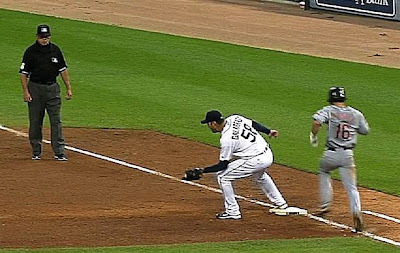 Most recently, a 2010 ESPN survey of 100 active players (taken after Jim Joyce's blown call that cost the Detroit's Armando Galarraga a perfect game), Bucknor was once again named the worst umpire in baseball (while Joyce was named the best). 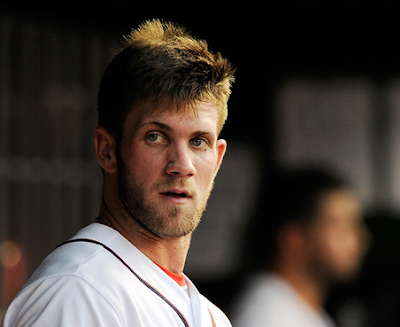 May 11: In a game against the Reds, Harper went 0 for 5 with 2 strikeouts. In his 4th at bat, wherein he grounded out, he disappeared into the clubhouse and reemerged with a bloodied face after going berserk with a bat. His lacerations required 11 stitches. July 15: After Marlins manager Ozzie Guillen had something to say to umpiring officials about the amount of pine tar on his bat, Harper felt the need to point a (clean) bat at Guillen during his at-bat. Despite going 0-for-4 that day, the Nationals won behind Stephen Strasburg. July 16: Harper snaps a bat over his knee after a fly out. August 5: Harper breaks a bat over home plate after a strikeout. 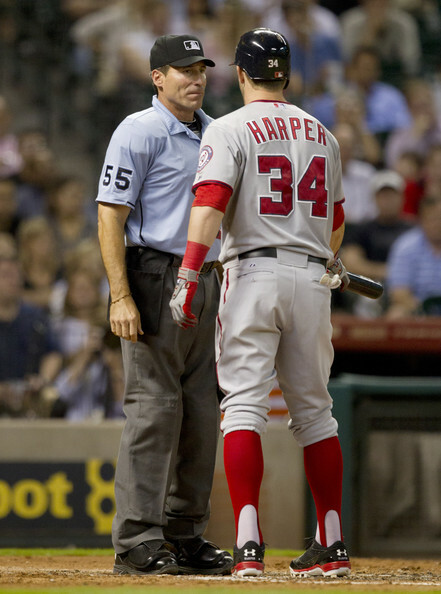 A piece of the bat hits the home plate umpire, for which Harper apologizes. August 20: Harper breaks another bat over home plate. In his entire 18-season career, Derek Jeter, the shortstop for the Yankees, the team's captain and a future guaranteed Hall of Famer, has NEVER BEEN EJECTED. He is poised, dignified and humble. 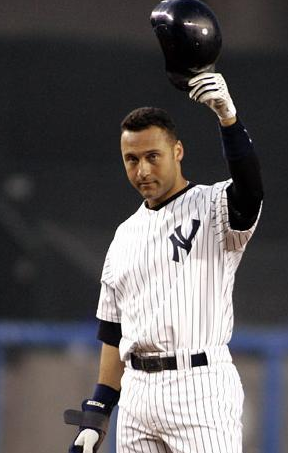 If Harper wants to last more than 5 years in this game, he needs to take a page out of Derek Jeter's playbook. He needs to learn humility and civility, otherwise, he will be the talented young phenom that no one wants to work with. Think it only affects his performance? Umpires, who I agree are already flawed, will remember his attitude when making those close calls. The Harper jerseys could start really seeing some slumping sales. Most importantly, his trade stock will go down, something that is not written about enough. He will be "all dressed up", with nowhere to go. The key to longevity and to hitting over .320 at age 38 in your 18th season is dedication to the craft, not yourself. If Harper does not begin to put his team ahead of himself, drag his head out from between his own legs and cut the childish crap, he will deteriorate. 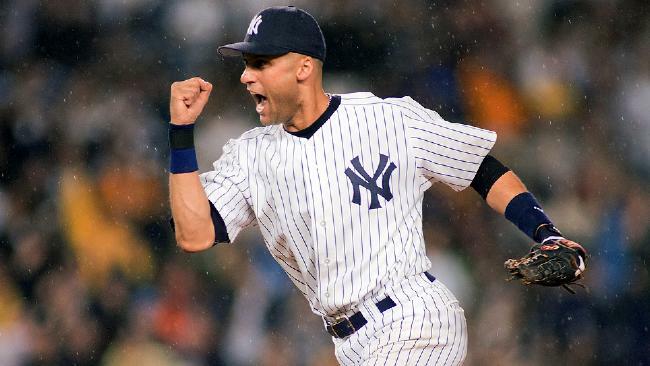 Derek Jeter is not just another player, he is a role model for leadership. Harper needs to find the right person to emulate and learn from. A good start would be ruling out the most undesirable candidate: himself. You can mold youth, but you can’t remold a veteran who’s been stuck in their ways for years. 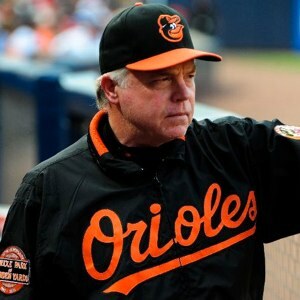 The difference in this Yankees/ Orioles series will be whether or not Yankee veterans are open minded to playing situational hitting and whether the white hot Orioles youth will absorb Zen Master Buck Showalter’s words like a sponge to try and squash the Yankees. For Buck, this isn’t just a series in a season, it’s his own personal World Series. If Buck Showalter’s Orioles sweep the Yankees in their house this weekend, it will not only define that series, it will define the rest of the season for New York. That will easily deflate the Yankees, it will deflate the fan base and will, in turn, make a winning season turn bad. I’m writing this as a true fan that believes, but I’ll tell you something very important; There is a lot to be said about the thrill of victory and the agony of defeat. Think about those words. Think about what that phrase means. Trust me, a black eye like a sweep against the Orioles will provide instability in the Yankee clubhouse and chaos in the New York Sports media. That will in turn snowball into uncertainty, an embarrassed Joe Girardi and anger among Yankee fans. The reason why is simple…Buck Showalter has molded his youth, 25 guys with unknown names that believe they can run through a brick wall. The Yankees? We’re a bunch of gritty veterans yes, but we’ve traded away our youth and the heroes we have, have been in the same routine for years. In other words, Kevin Long won’t dare rework a guy that’s been in the majors for 8 years + doing the same thing he’s always done, because that player's established…he’s going to let him hit in the hopes that a home run or a spark will ignite the team. It's Hope…not necessity. Again, this is me as a fan believing in my team, but looking for that spark. With the Yankees, there have always been big moments, but for some reason, when I think about the big plays lately, it’s the kids or the non-all stars… the hungry young player that wants to take everything in like a sponge. I always think about Jose Vizcaino and his hit to score the winning run in the 2000 World Series (Read HERE)…it set the tone. 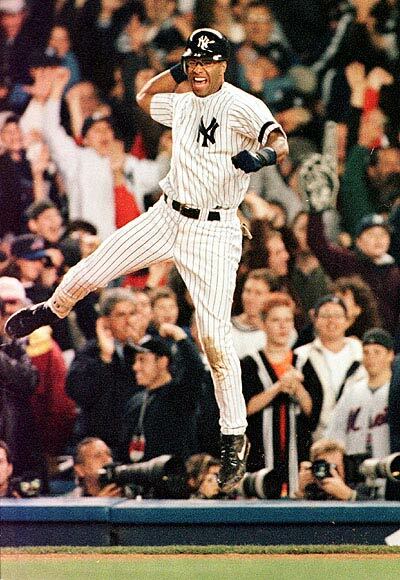 I think about Derek Jeter learning from day 1. 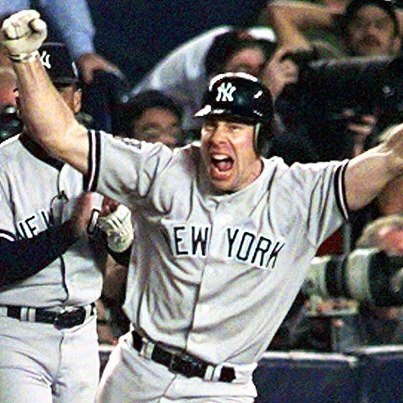 I think about Scott Broisus, a guy with a career in Oakland going absolutely no where and when he came to the Yankees he became a champion. Why? Because he wasn’t set in his ways…he just wanted a job and was willing to work at it. It paid off, he was the 1998 World Series MVP. No, I have not given up on my Yankees. I am not angry at Kevin Long or Joe Girardi. I’m not going to sit here blaming everyone, but I want results. My take is simple, I don't care if you're a veteran set in your ways, change your ways to win. You teach Little League players situational hitting from day one. Overtime, the player translates that through high school, college and when they hit the pros, IF they make it that far, it’s usually what got them there. Then suddenly, that player becomes a veteran and they're “allowed” to be set in their ways. Why? Look, I’m not saying the Yankees need to transform their blue print at the end of August during a pennant race, but I am saying it’s alittle too late to start... we’re running out of time. 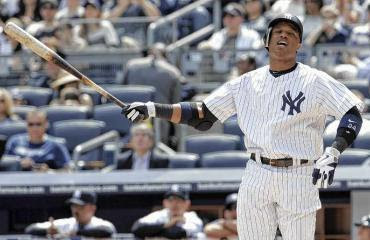 Now the Yankees HAVE to grind it out and you damn sure better incorporate situational hitting into your game plan now! The Orioles are not push overs. 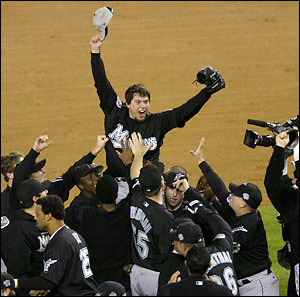 Sure, they are a bunch of kids, but so were the Florida Marlins in 2003 and Josh Beckett beat us. The point is the Yankees need to wake up because right now it’s not enough that we’re in our house and we have a sold out stadium of Yankee fans. That’s expected…we’re the Yankees. No, it’s time to up our game. It’s time to press the reset button and kick the crap out of the Orioles. Change it up, play some small ball, do the unexpected and that even goes for the fans too. You want to throw a wrench in the whole thing and open the Yankees’ eyes? DON'T DO A ROLL CALL TONIGHT. Let the Yankees have their routine broken to let them realize just how important this is to enter each game differently. Make them feel like they need to snap out of the funk. I'm tired of hearing that "we did our best and we just got beat" or "we just didn't have it tonight." You always have to have it. You always have to win, that's the goal, in baseball, in life. My Yankees can do it, they are our heroes. They do great things off the field, they make great plays on the field, but with the same routine comes a rut and I’ll tell you what, they’re in one. Sure, I told you all that we’d start playing winning baseball when CC Sabathia pitched against the Indians last Friday night (Read HERE), but guess what, now it MUST start. 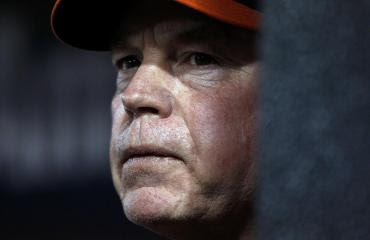 No one needs Buck Showalter winning anything at Yankee Stadium… I can picture his sneaky smirk right now and I want to smack it. You know that look right? It's the one where he looks like he's better than everyone else...So help me God, if the O's score a few on a Yankee mistake...we'll see it and you'll say to yourself "Damn... BYB nailed it!" Today’s the day Yanks… let’s do this. I can’t remember a Yankee team in recent memory that has been bitten this badly by the injury bug. 2008? 2006? Nah, 2012 has to be worst. Injuries to the starting rotation, offense, and bullpen have really taken its toll. 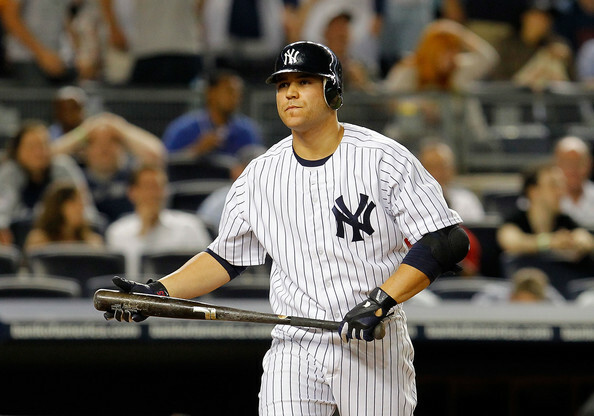 Let’s take a look at the trickle down effect the injuries have had on the Yankees this year. I remember reading/hearing somewhere that the average MLB team has two starting pitchers go on the DL during some point during the season. It was inevitable that someone in the rotation was going to get hurt, and I accepted that. But having four starters land on the DL is a bit ridiculous. All these injuries means guys like Phil Hughes (remember, he got bombed early in the season, the injuries have been a blessing in disguise for him), David Phelps, Freddy Garcia, and even Adam Warren have gotten starts. Even if one of Pineda or Pettitte were able to stay off the DL this year, the rotation would be pretty stabilized. Of course CC is back, but he has missed about four or five starts this year, and that has hurt. Pineda has been out for the season and it wouldn’t surprise me if Nova was in the same boat. We pretty much have to hope that Pettitte can rebound from his fibula injury he suffered in June and that certainly isn’t a guarantee. Losing ARod to his fractured left hand didn’t hurt for a while because Eric Chavez went out of his mind offensively for a stretch. Now that Chavy has come back to earth, things aren’t so great. Because of ARod’s injury, the Yankees have had to plug in guys like Jayson Nix and Casey McGehee at the hot corner, along with Chavez, in his absence. Get well soon, Alex. 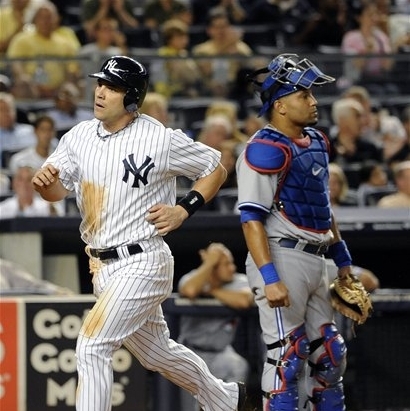 Teixeira’s injury happened rather recently, but it has affected the lineup. Since Tex suffered his lower leg strain, guys like Steve Pearce and Russell Martin have hit cleanup and fifth, respectively. Even though Teixeira has shown signs of declining for the past few years, we need him in the lineup and on defense. Get well soon, Tex. 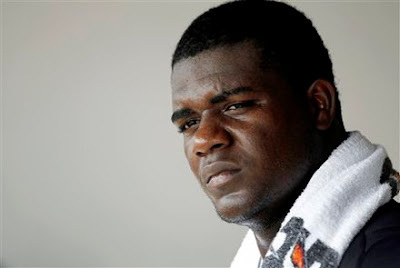 The injury to Mo really hurts, and yes, I know Rafael Soriano has done a great job. But Mo’s injury means that everyone gets moved up a spot in the bullpen pecking order. The same goes with Robertson when he suffered his abdomen injury in mid-May. Guys like Cory Wade (who probably ran out of gas due to pitching in higher leveraged roles), Boone Logan, Cody Eppley, Clay Rapada, and David Phelps (when he was in bullpen) have had to step up. Now, it seems that those middle three, more so Logan and Eppley, are starting to run out of gas too. Even Joba is hitting a rough patch, as he has really struggled since returning from his Tommy John surgery and trampoline fiasco. Maybe the possible, and I emphasize the word “possible” here, returns of Aardsma and Feliciano will help. Fingers crossed. Look, I know injuries happen to every team, but this year they’ve been out of hand. They need to get healthy if they want to win the World Series this year, most specifically the returns of ARod and Tex to strengthen the middle of the order and the return of Pettitte to bolster the rotation. The good thing is, these three guys , to some degree each, are close to returning. If the Yankees can just fight off the O’s and Rays for a week or two more, the Yankees might be in business. Hang in there, everyone. I am aggravated this morning. So often as of late, my New York Yankees have left me deflated and depressed. 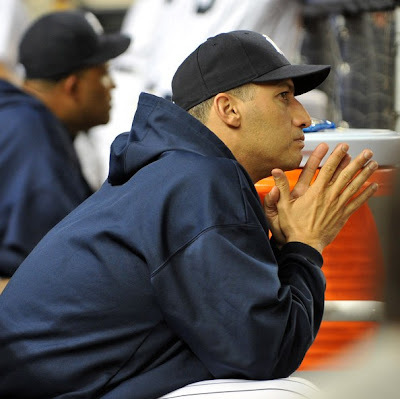 What has happened to my mighty Yankees? I’m not expecting 20 game winning streaks every month, but I am expecting solid play, solid hitting and of course winning…probably the most important thing in the game of baseball. The Yankees have big problems. I’m not going to get into a debate about panic, there’s too much about that lately on Twitter. I can tell you, I’m not loving my team right now. Sure, I love my team, but I’m not “In love” with them….a girlfriend once told me that in high school. I really didn't understand what that meant until I did... I saw her kissing Joey Castolano at the dance that night. Then I got it. The point is, you can love your Yankees and the history it has all you want, but the bottom line is if this 2012 team doesn’t play well and losses to the Rays and Orioles in the American League East, let’s just say that’s not the Yankees history that I want to remember. In turn, I’m not “In love” with my Yankees right now. 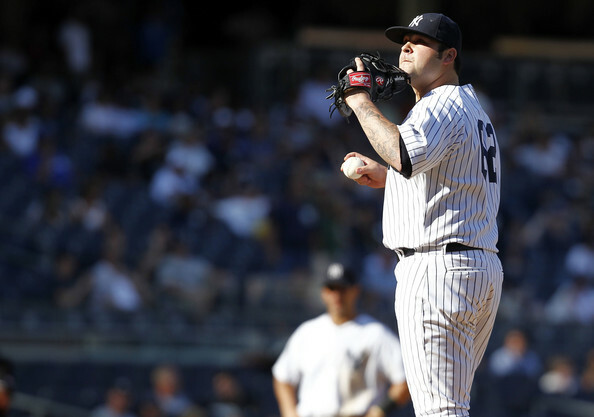 Joba Chamberlain is disappointing. I can’t believe I’m saying that, but there has to be serious concern for this guy and my gut says that he was so anxious to come back and help this team, to win and to prove to Yankeeland that trampolines are wrong, that I would speculate...his body just wasn't ready. Joba has no control, he doesn’t seem focused, he’s rusty, he’s not Joba. My friend asked me “What’s up with Joba Chamberlain?” I snapped back, “He’ll be on the Indians next year!” I take it back, but you have to realize, my frustration happened right when the game against the Jays took a turn for the worst. I mean, what is going on? Is Joba better or not? Should Joba be sent down to work out his problems? Runners in scoring position? It's been a thorn in our side all year and now it's coming back to haunt us, just when we don't need the headache. It's been my philosophy that if the Yankee rely on the long ball too much for too long they adapt to that type of strategy to score runs. No doubt the long ball works, but runners on base with the long ball is much more exciting and productive than a solo shot. 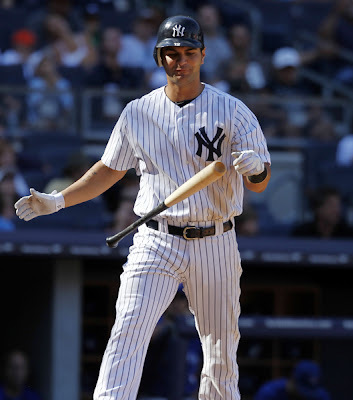 Now, lately the Yanks have stalled with the home run too, not homering in the last 2 games. There have been some un-needed strikeouts in big spots too...ask Robinson Cano and Eric Chavez about that. You have to wonder if a different strategy needs to come into play. Trust me, the Yanks are about to play a series that's a must win...every single game against the Orioles will be a blood bath. If they play like they're playing, there's no way in hell they win. And let's examine yesterday. The errors are killing me. What the hell is wrong with a professional team, who, in their own ball park can’t field the ball cleanly? Errors in professional baseball should rarely happen...my take is simple...they're professionals! You know what happens to youngsters who commit a lot of errors, like, Eduardo Nunez? They get shipped to the minors and eventually disappear. You know what happens to veterans who commit errors? Nothing. They are considered veterans who made a “bad play”. Sure, it happens, but 3 in a game is little league crap…get it together. We're the Yankees. 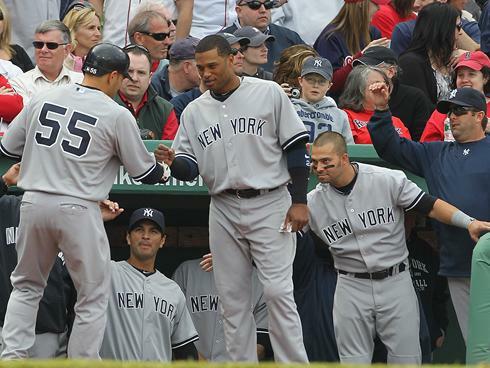 The American League East this year is not your father’s AL East. The Red Sox and Blue Jays are in the basement and the Orioles are in second place. That’s not only a bad thing, it’s a really bad thing and I’ll tell you why... Buck Showalter scares the crap out of me. 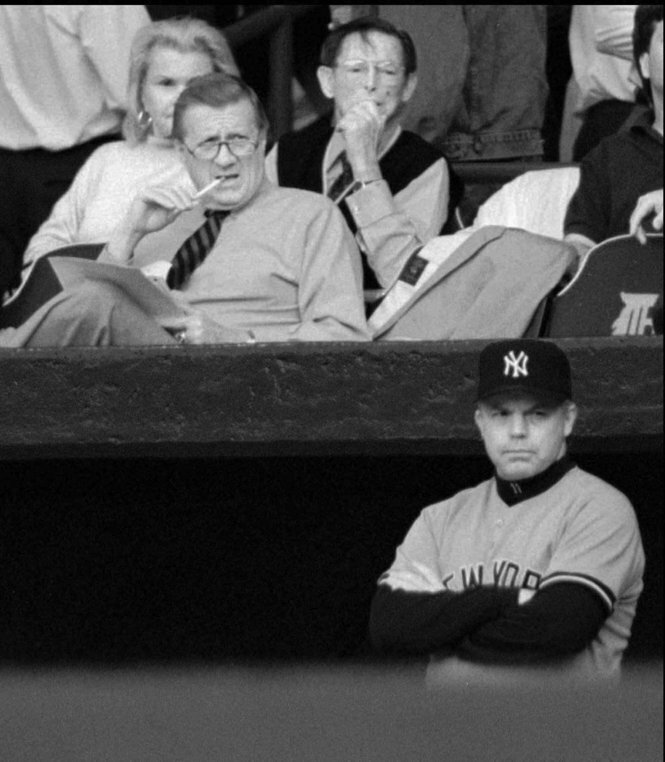 I loved him with the Yankees as manager because he was good and now year's later, he has something to prove to the Yankees and the Steinbrenner family. You can sit there and tell me I’m full of it, but I’ll tell you you’re wrong. Buck‘s firing from the Bronx never sat right with Buck and he’s out to take the AL East any way he can. Sure, I expected fall off, but it never happened this season with the Orioles, they just keep coming. Buck has them believing in themselves. And the Rays are another club who “just can’t lose.” I hear that all the time lately, and it’s true. The Yankees? MY YANKEES? They lose and win and lose and win and lose. Inconsistency absolutely kills me and it's killing them. I hate it. SO... this wasn’t so much a rant to crap on my New York Yankees, it was more of a rant to let you know where I’m coming from lately. 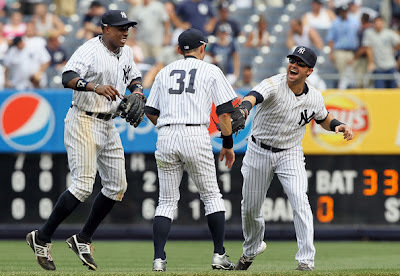 I love my New York Yankees… I root for them hard and want them to win all 162. Sure, that’s a tall order, but it’s the way I was brought up, learning from the Steinbrenner Dynasty. There’s nothing wrong with wanting to win the whole damn thing, in baseball or in life. There is something wrong with wanting to be 2nd though, it doesn’t sit right with me. We have the tools… we need to use them because we’re running out of time...and that's the bottom line. 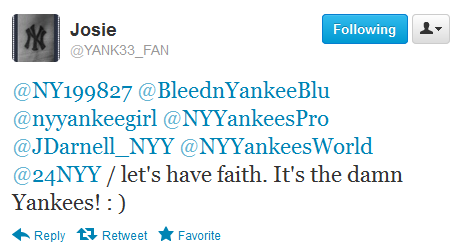 She's right, They ARE the damn Yankees.... OK, my rants over... GO YANKEES! I may be one of the very few to be a little concerned with this signing….or should I re-signing of Steve Pearce (read HERE), but I will debate this anyway. 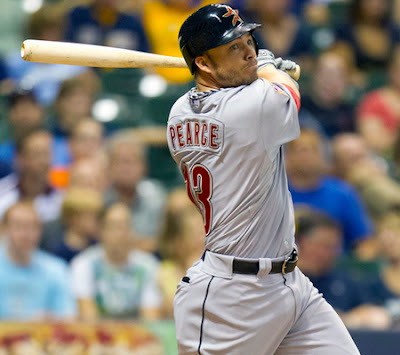 On Monday, the Yankees claimed Steve Pearce from the Houston Astros and I’m not sold. I know there is logic behind it, and I understand it but I still can’t shake this nagging feeling that it isn’t going to pan out the way the Yankees want it to. So you may be asking, “what is the problem here?” and in a nutshell my problem is…..I think the Yankees gave up too much. The price tag for Pearce was cash and then to make room for him, they designated Brandon Laird for assignment. 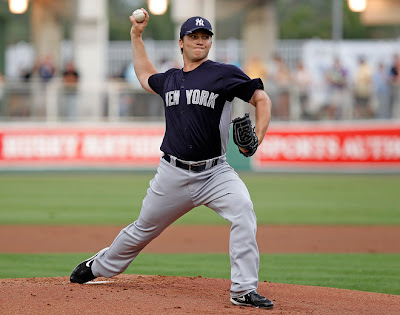 I’m relieved to see that the Yankees are only giving up a check for him, but I have watched Brandon Laird for years now and I am sad to see him go. 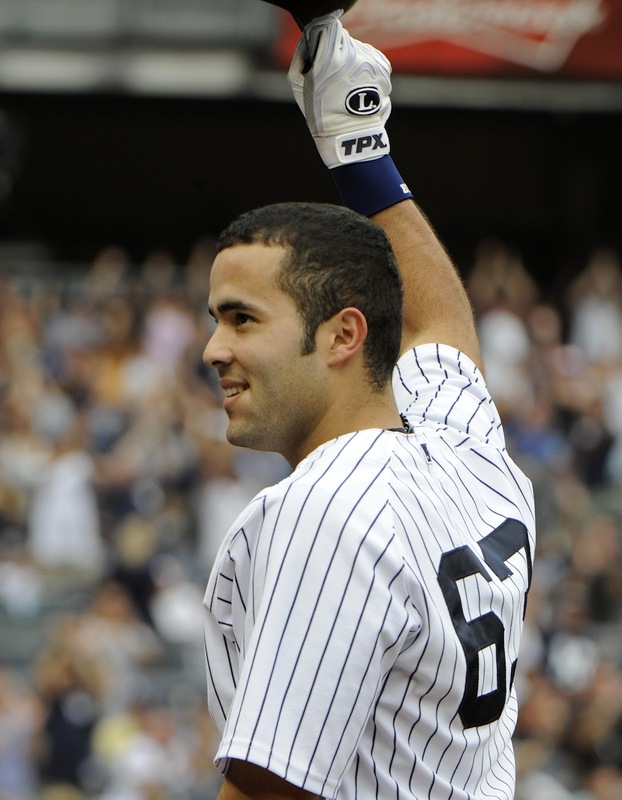 I know, the common argument is “he has no future as a Yankee,” and yes….I can see that. The life of a minor league infield prospect is not an easy one with Cano, Jeter, Tex, and ARod standing in the way and realistically, the only playing time on the big stage would come in a bench role or as a fill-in during an injury. 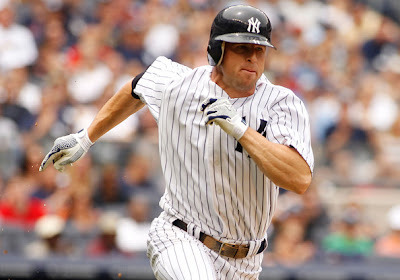 However, Laird has been solid for the Yankees and he has had a long-term job here as opposed to Pearce who was signed in March but then chose to opt out in June when he wasn’t called up. He chose to leave the Yankees and move on. 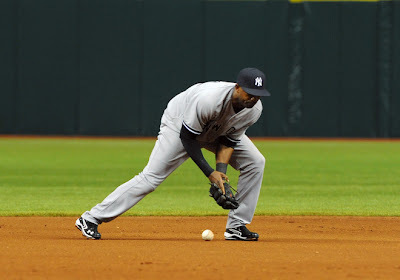 Didn’t I just mention Yankee infield prospects have limited opportunities? Oh but….one of those opportunities can pop up during an injury. I’m sure you can see where I am going here. I like Laird, and he has been a major contributor to the Scranton team clinching a playoff spot this year and has had some major highlights, and in July he had a .313 BA. We saw Laird last year so he is no stranger to us and while Pearce is versatile….so is Laird. Both players can play first base, third base, and the outfield. They both can hit for power so they share a lot of the same talents. 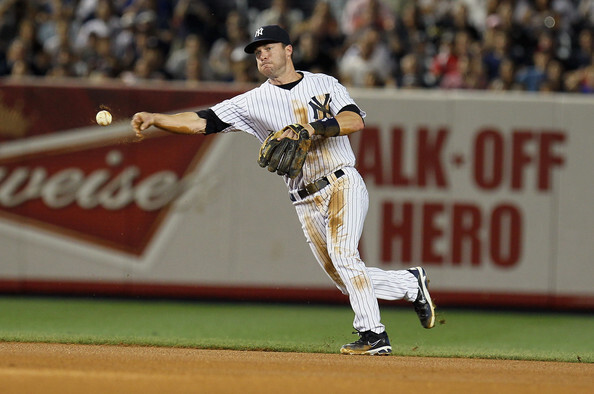 One difference here is that he has seen playing time as a Yankee. With Tex out with his calf strain, and ARod still working on his rehab, I understand the need for more help, and Laird could’ve been that help, I believe that. 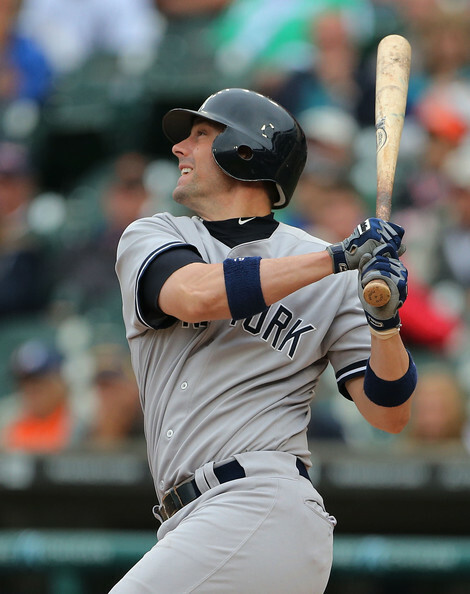 So, why didn’t the Yankees give Laird a shot? Well, in short….Pearce has more success against lefties. I know I have been praising Laird here, but I am not trying to discredit Pearce. Without ARod out there, there has been a noticeable difference with success against lefties, and the Yankees will see a lot of lefties as we go through a long stretch of games within our division. Pearce has proven that he can hit lefties; he has a .490 slugging percentage to back it up. He does have more major league experience, but not much and he has a higher career batting average at .254 as opposed to Laird’s .190 BA; but is that really fair? Pearce isn’t exactly a veteran, he has only played in 49 games and Laird has shown some improvement this year, his stats prove that. You can’t improve if you aren’t given a shot. I see both sides to the argument, but if I am good at nothing else in this world, it's playing devil’s advocate. I look at how much our AAA team has changed and had to endure this year. 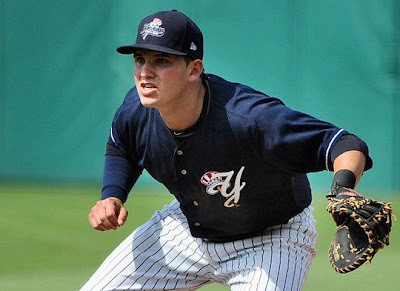 We have signed several big name infielders this year and then cut them, see Russell Branyan, Jack Cust, and his recent demotion of Casey McGehee to the Charleston River Dogs, read HERE. I understand those names, they were depth but a common theme amongst Yankee fans is that we let go of our farm players too often. Sure, we don’t rant about it too much when we gain a player that is a long-term investment, but I just don’t see Pearce being this kind of player. I worry that Pearce is a short-term rental because I just can’t envision him staying on this team past 2012, plus he's already been a Yankee and he opted out to pursue other opportunities. True, Laird may not have a spot on this team and he will benefit if he goes elsewhere, but if I am giving up a good farm player I want a good return. What makes us think that Pearce won’t share the same fate as the names above, or leave again and if any of these possibilities happen how can that price tag be justified? I’m not sure how to answer this one. I wish Pearce the best of luck here, I really do. I like it when the Yankees prove me wrong and if they do, I will be the first one to admit it. When it comes to our farm system, I am very protective though. I already watched Jesus Montero leave and it left a bittersweet taste in my mouth so I don’t want to see the same thing happen here without any sort of payoff. Laird is valuable somewhere, even if it isn’t here. That being said, what’s done is done and it is time to focus on the chase for #28. 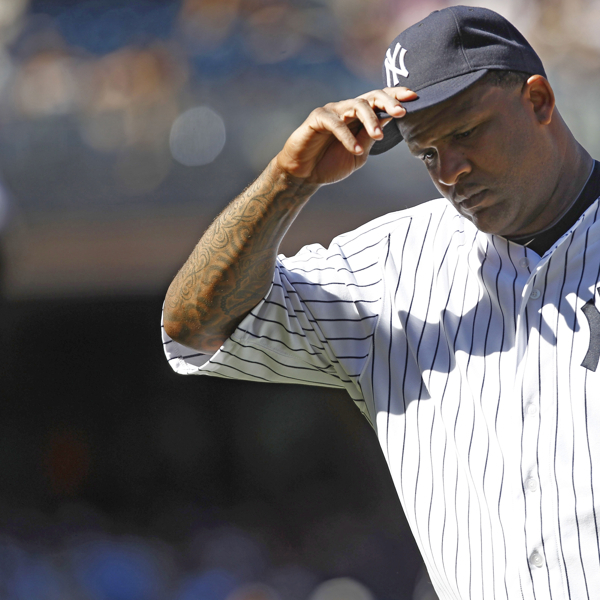 CC Sabathia started, but he was not his vintage self. He went 7 innings and allowed five runs (two earned) while letting up nine hits and striking out eight. 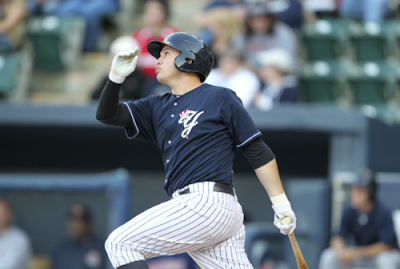 He also allowed a mammoth two-run home run to Yunel Escobar, who had four hits on the afternoon, in the sixth. With the injured offense under performing, we need CC to consistently give us good starts. This, unfortunately, was not one of them. The bullpen that followed Sabathia wasn’t that great either, for the most part. Derek Lowe came in in the eighth and immediately allowed a double to Escobar before Kelly Johnson reached on a bunt single, thus knocking Lowe out of the game. Boone Logan followed and retired the only man he faced. Cody Eppley allowed two runs (one earned) in his inning of work, while Clay Rapada allowed a walk to the only man he faced. Finally, in the ninth, Joba Chamberlain came on and allowed a bloop double to, you guessed it, Yunel Escobar (which should have been caught after Andruw Jones could not read the ball correctly off the bat). The offense was also shaky in this one. Yes, they scored five runs, and that should be enough to win when you have a guy like CC on the mound, but they were worse than the total suggests. For starters, two of the runs scored on a Curtis Granderson sun-aided double in the third that should have been caught by Rajai Davis. 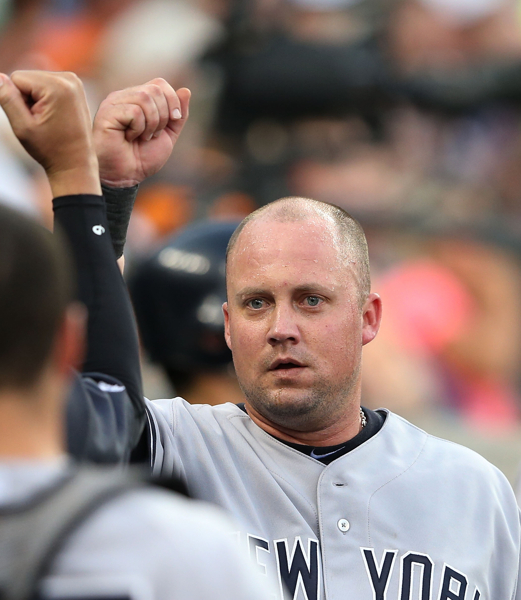 The Yanks, as a team, put up a 3-for-17 (.176 BA) showing with RISP on the afternoon. Believe it or not, the Yankees have been doing better with RISP since the All Star Break, so maybe this is a blip and not a sign of things to come. Finally, the defense was also less than ideal. They committed three errors which equated to four unearned runs. 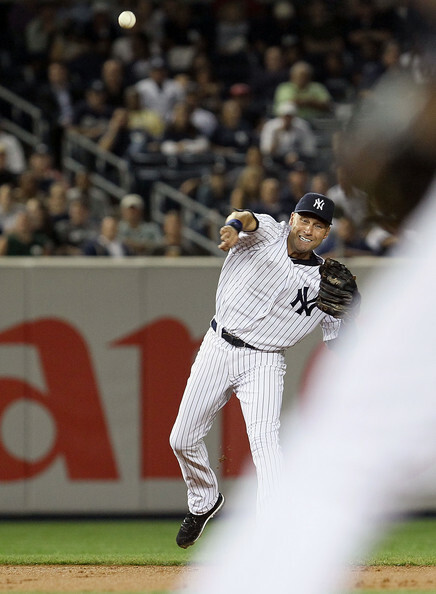 The first error came in the very first inning on a Derek Jeter throwing error. Thankfully, no runs came to score. The second error came in the third on a Jayson Nix throwing error as he was trying to throw out Jeff Mathis at second. This error resulted in three unearned runs. The final error came in the ninth on an Eric Chavez miscue at third. He was trying to field a grounder, but the ball ate him up, thus resulting in an additional unearned run for the Jays. This one really seemed like more than a three run game. It’s pretty inexplicable to lose a three game series to the Blue Jays, especially at home, but what can you do? 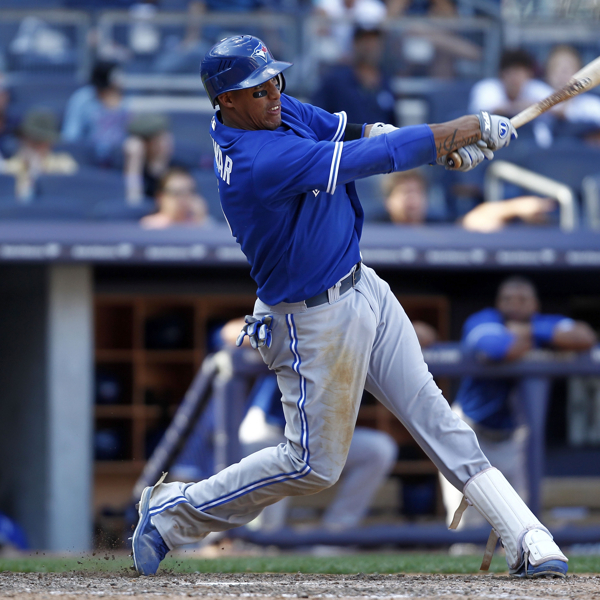 Final Score: Blue Jays 8 - Yankees 5. 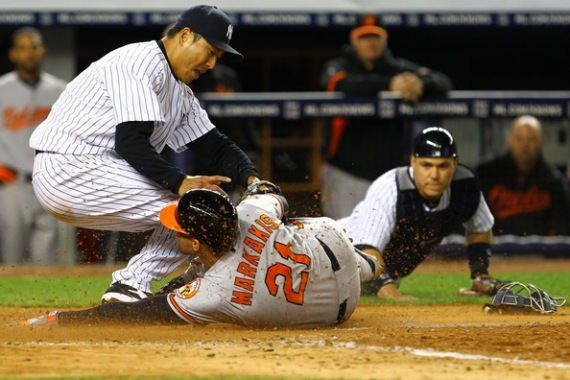 The Yanks have an off day on Thursday before they kick off a crucial three game series against the Baltimore Orioles. Hiroki Kuroda ( 12-9, 2.98 ERA) is scheduled to face Miguel Gonzalez (5-3, 3.66 ERA) Friday night in the Bronx. Going into the season it looked as though Russell Martin and Francisco Cervelli would be the Yankees’ two catchers, and that’s fine; both were productive last year. But, with the sudden trade of Chris Stewart and the demotion of Cervelli once spring training concluded, to go along with the awful play of Russell Martin, the catching situation looks pretty ugly. Let’s start with the primary catcher, Russell Martin. This was a pretty important year for Martin as 2012 is a contract year for him. 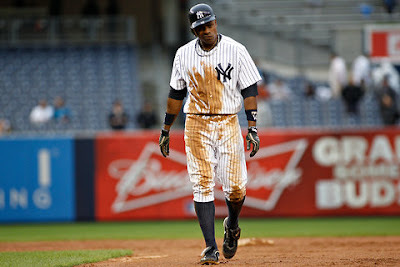 He has disappointed this year, to say the least as he’s batting .195/.299/.362 in 105 games and 379 plate appearances. He does have 14 home runs and plays solid defense, however, but that really doesn’t make up for the rest of his porous performance on offense thus far. 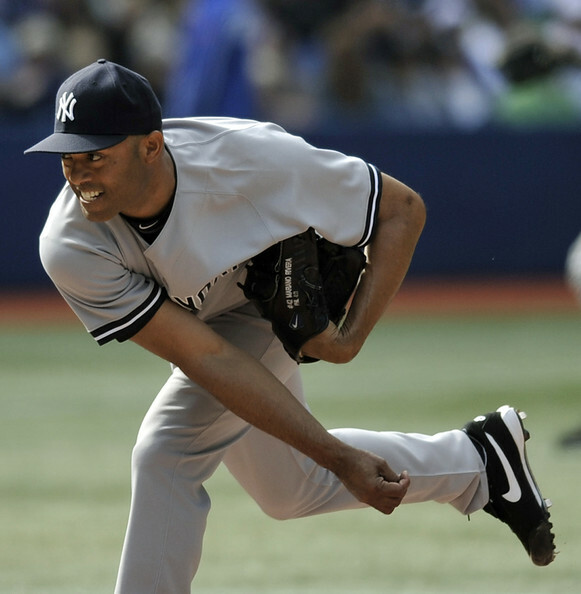 One: The Yankees could, if they wanted to, sign him to real cheap contract in the off-season. He had a chance to sign a three-year, $20 million extension (read HERE), but he passed. There’s no way in hell he’s getting that offer again after this nightmare of a season. 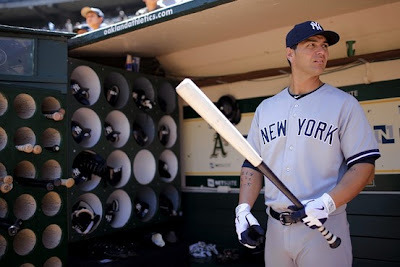 Two: The Yankees will realize that Martin is struggling mightily and they’ll look for a replacement. 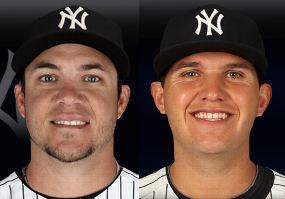 I may not be speaking for every Yankee fan, but I’m really hoping the Yanks choose the latter scenario in this case. Now, onto our second struggling catcher: Chris Stewart. Stewart was traded from the Giants to the Yankees in exchange for reliever George Kontos. I did not understand this trade at the time and I still don’t understand it to this day. Stewart, who is batting .256/.281/.339 in 131 plate appearances this year, is a downgrade from Cervelli while they gave up a potential useful bullpen piece in Kontos. Speaking of Kontos, he has succeeded in San Fran thus far. He’s pitching to a shiny 2.25 ERA with a strong 3.8 K/BB ratio in 32 innings. 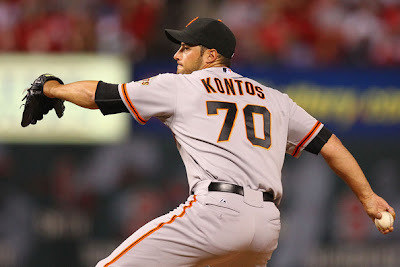 With the leaky bullpen the Yanks currently have, it would be pretty nice to have a guy like Kontos help shore it up, eh? Anyway, with Stewart; I see the Yankees looking elsewhere in the off-season. As noted, Stewart is not a good hitter. On defense, he’s slightly above average in throwing runners out (22% whereas league average is 18%), but has trouble with passed balls. He has seven overall which is tied for 7th most in MLB. The six catchers that have more passed balls than Stewart are all regular catchers, not backups. What could be a solution to this catching problem? Well, it’s unlikely that they acquire someone off waivers. I doubt anyone worthwhile will make it through waivers anyway, so it’s hard to count on that. Maybe Francisco Cervelli could provide a spark? 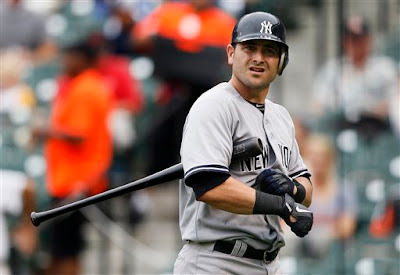 September call-ups are just around the corner and Cervelli could be the key. (Read YOU WANT YANKEE ENERGY? CERVELLI TIME!) Hell, maybe he could impress enough to force Girardi’s hand and take over at least the backup spot from Chris Stewart. I don’t know. The Yankees are in first place, but they’ve been sliding for the last few weeks, and although most point to the lackluster-ish offense (not necessarily the catchers in general) and the struggling pitching staff, the catching situation is something to worry about. Maybe it’ll work itself out, but for now, the catching situation is a problem.